SynergEyes partners with eye care professionals that specialize in fitting patients with keratoconus and other corneal irregularities. Below is a group of practitioners featured this month. Use the doctor locator above to find a practice in your area. Dr. Jeffrey Sonsino is well known in the optometric profession as a true leader and innovator in contact lens fitting and care. For 11 years, he was an assistant professor at the Vanderbilt Eye Institute where he founded the Center for Sight Enhancement and authored nine patents on vision-related medical devices. At Optique Dr. Sonsino offers keratoconus care including decision making for contact lenses or surgery. As a part of the American Academy of Optometry, he helps write position papers on keratoconus, establishing standards of care for all optometrists practicing in the U.S and involved in the most cutting edge studies in the field. He is one of nation’s most experienced UltraHealth providers. Farkas, Kassalow, Resnick & Associates has been in business over 50 years has a national and international reputation in the contact lens field. The doctors and staff specialize in hard-to-fit contact lens patients and are committed to providing the finest vision care in a comfortable, state of the art setting. They are one of the top optometry offices in the nation offering UltraHealth contact lenses. Siegel and Portnoy Eye Care Associates has been providing quality eye care in the Southside Pittsburgh area for over 70 years. They take great pride in providing state-of-the-art eyecare matched with personal attention from doctors and staff. The optometrists and ophthalmologist specialize in difficult specialty contact lens fittings for diseases like keratoconus. 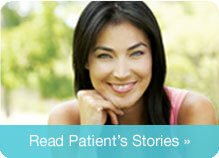 The practice has many happy and successful patients wearing the UltraHealth hybrid contact lens.